I have a goal this year to share more “real meals”. More meals that we actually make for dinner and crave on a weekly basis. More good classics, stand by’s, weekly rotations and as we’ve been calling it, going back to basics. Now I’m all for challenges and adventures, but we can’t whip up a cheese souffle or paella on the norm. So I am really excited to share comforting favorites that we eat all the time and yet, I have never shared the recipes. 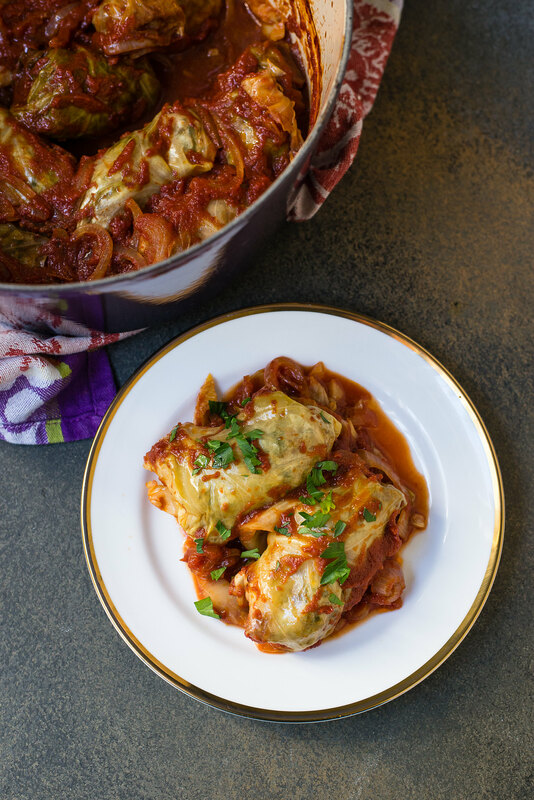 That bring us to one of my favorite childhood dishes, sweet and sour stuffed cabbage rolls. Yes, I know, there are dozens of different interpretations of cabbage rolls. I’ve seen recipes with raisins in the sauce for sweetness or in the meat mixture and I’ve had some that were overly on the sweet side. Some people cook their their cabbage rolls on the stove top, or like I did, bake them. Either way you make them, I think we can all agree that there is nothing like comforting stuffed cabbage. I took a different approach than how my mom makes them. 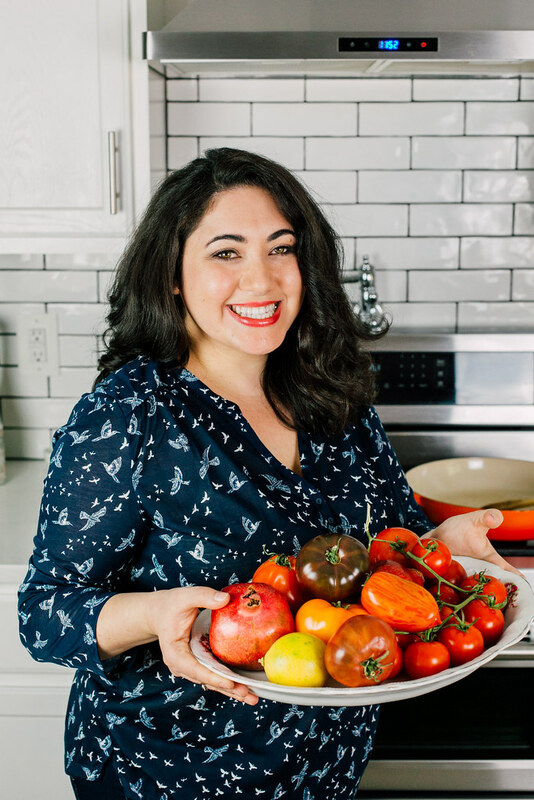 A few years ago we made them together along with her famous stuffed grape leaves recipe and I was so excited to get the recipe from her, but alas, like the previous generation, no. one. measures. anything!! It was a palmfull of this and a pinch of that. Then taste, add more sugar, “no too sweet”, add more acid..you get it. Plus, my mom swore by using “sour salt”. Have you heard of it? Because I couldn’t find anything called that and the closest thing I found online was citric acid. I didn’t want to buy a whole jar of citric acid, so instead I subbed lemon zest and juice, which I think gave it a gorgeous sour snap. 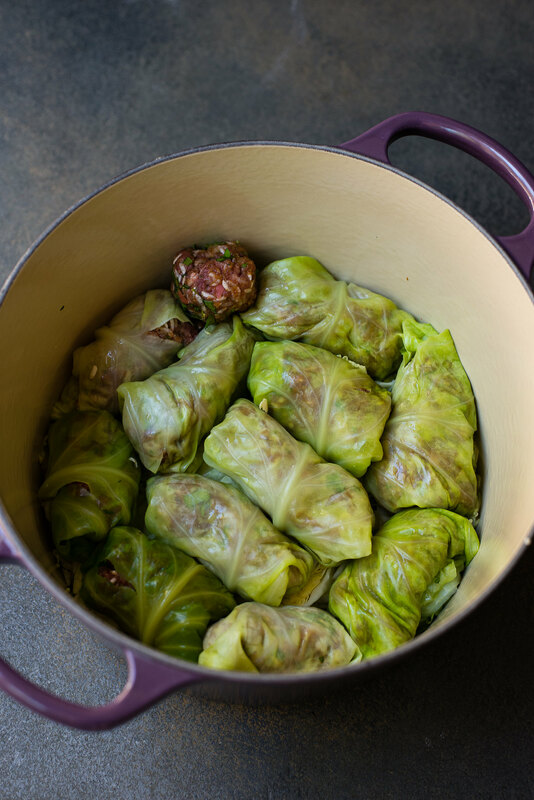 Please share how you enjoy and make stuffed cabbage rolls. How did your mom or grandmother make it? Begin by preheating your oven to 350 degrees Fahrenheit and boiling the whole cabbage in a pot for about 10-12 minutes. This will help soften the leaves so they roll easily. Once done, remove to a colander and allow to cool enough to handle. Then cut out the core of the cabbage and gently peel away whole cabbage leaves. If some tear, that's OK. You can either double up with another leaf or chop them up to line the baking dish later on. You should have about 11-12 leaves to make the cabbage rolls. In another bowl, mix together the meat ingredients. Add the ground beef, spices, chopped parley, breadcrumbs, rice and egg and use your hands to thoroughly mix everything together, then set aside. To make the sweet and sour tomato sauce, add all those ingredients in a bowl and stir to combine. You can taste for seasoning and if you wish to make it more sweet or more sour, adjust as you like. Line a baking dish or oven safe pot with any extra cabbage you have and sliced onions. Now let's get rollin'! Use a small pairing knife and cut the hard stem off each cabbage leaf. Take about a tablespoon of meat mixture and roll cabbage like you would a burrito, tucking in the sides so no meat is exposed. Then line all the cabbage rolls in the pot snugly together. If there is any extra meat leftover, just roll it into a meatball and add it to the pot. Pour tomato sauce over the cabbage rolls and cover pot with lid. Place in the oven and bake for about 50-60 minutes, until meat is cooked through and rolls are tender. 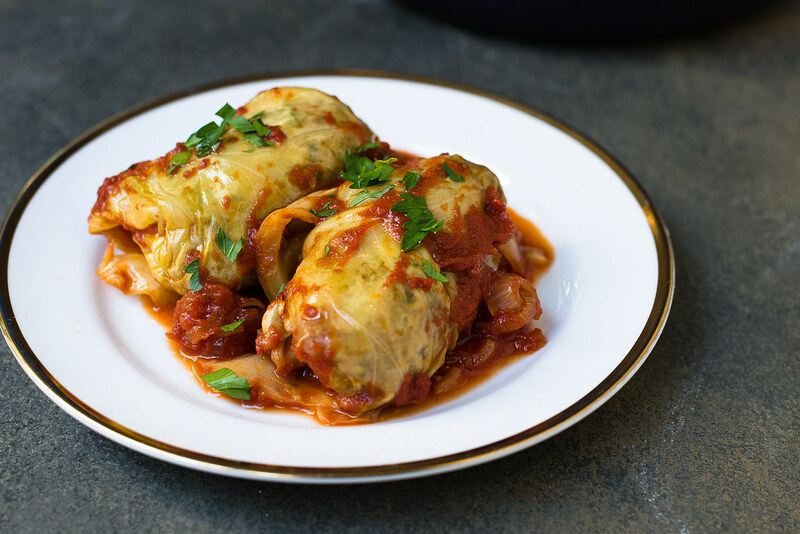 Serve cabbage rolls with spoonful of tomato sauce and extra lemon if you prefer. Looks good, Assyrian cabbage “dolma” is my daughter’s favorite, so I always make it for her. I love it with meat, but make it without for her. We serve it topped with garlic/yogurt and a spicy tomato sauce on top. Also, sour salt is just another name for citric acid. If you don’t want to use it, you can substitute with lemon juice! Great post! I love the addition of garlic yogurt…that sounds lovely!! Yes..I subbed lemon juice in this cause which I liked overall! This is gorgeous and looks absolutely delicious Samantha. I’m inspired to try! Thank you Steve! Hope you do..delicious, easy and comforting!